Massachusetts may not have the largest inground pools – after all, real estate is precious in the Bay State – but it does have a lot of pools. The summers can be sweltering, particularly in Boston and other urban areas, making a cool dip particularly inviting. While obviously not as long as the swimming season in southern states, a Massachusetts resident can generally count on having the pool open from Memorial Day to Labor Day. You can often squeeze in more swimming time than that, however, especially with a pool heater. As mentioned, a pool heater can stretch out the swimming season and give you maximum value for your investment. You’ll likely need an electric one to keep the water at a comfortable temperature. To keep your utility bill under control, also consider investing in a solar pool cover. You’ll pay more for labor in Massachusetts than just about anywhere else in the country. To keep pool construction costs down, you may want to consider doing some of the grunt work yourself (provided you can find a pool contractor willing to cooperate with you). 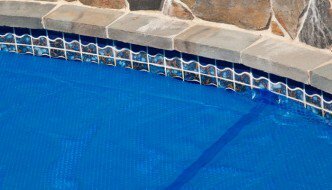 A fiberglass pool can also be an economical option because it can be installed in a matter of days. Getting a handle on the required permits and fees is a major concern for any new pool owner, but it’s particularly important for Massachusetts residents because there are so many local regulations to consider. Check with your municipal authorities to make sure you’re in compliance. Every pool in Massachusetts that is at least two feet deep must be surrounded by a fence. This fence must be at least four feet tall and meet various other specifications. Before moving forward with a pool installation, make sure you budget for the cost of a new safety fence and any other safety features you may need to be in compliance with city laws.